Hades Paperback Edition Out Soon! Want to take the amazing stories from the Hades issue with you? Soon you can! We always intended to create a print issue that was attractive inside and out, and the first paperback is on the horizon! 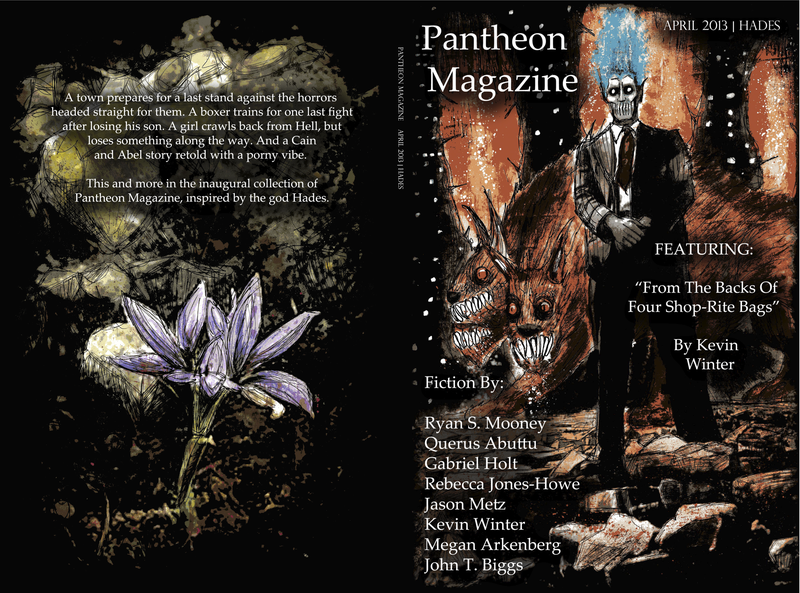 Cover art (shown above) and illustrations created specifically and unique to each story in our Hades issue, provided by Carrion House/Luke Spooner. A beautiful print copy including every story from the Hades issue in a portable, convenient 6 x 9 package. With each purchase, you help our little operation grow and fund more cool stuff, including competitions, increased pay-rate for fiction (we’d really like to pay our writers semi-pro rates! ), featured story slots in our print editions, special anthologies, etc. Yes, more godly good writing. We’re shooting for a mid June release date, but it may be available sooner.